Knowledge implies that UIN Syarif Hidayatullah has committed to create intelligent, creative and innovative human resources. UIN Syarif Hidayatullah Jakarta also intends to play a significant Â role in learning activities, discoveries, and engagements of research results to public. Those are forms of UINâ€™s responsibility to build human resources in Indonesia. 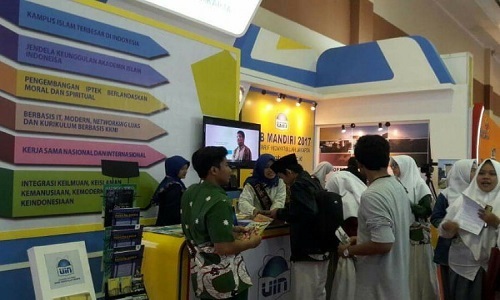 UIN Syarif Hidayatullah Jakarta wants to be the source of Islamic value formulation â€‹â€‹in line with modernity and Indonesian-ness. 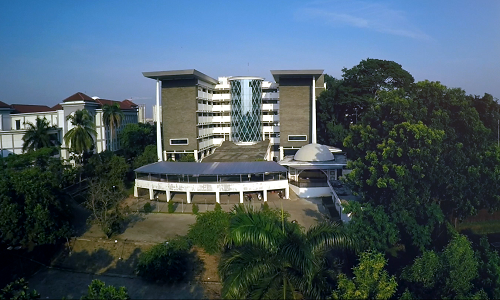 Therefore, UIN Syarif Hidayatullah Jakarta offers Islamic studies, social and political studies, and economic as well as modern science and technology -including medical science in integration perspective. Integrity represents that the academicians of UIN Syarif Hidayatullah Jakarta are adherent to personal ethical values â€‹â€‹as a basis for decision-making and day-to-day behavior. Integrity also implies that the academicians should have confidence, at the same time, and respect other groups. The motto (Knowledge, Piety, and Integrity) contains a spirit to realize a civilized campus and produces graduates with depth knowledge, sincerity, and solid personality.